Dissolve gelatin in kombucha and allow to sit for 5 minutes until it forms a jelly consistency. Heat fruit, honey and any extra ingredients in a saucepan, on a medium heat until the fruit has softened. Remove from the heat, puree using a blender and stir in the gelatin. Pour into a 10 x 15 cm glass or plastic container, I line the container with baking paper for easy removal once set. You can also pour into an ice cube tray to set. 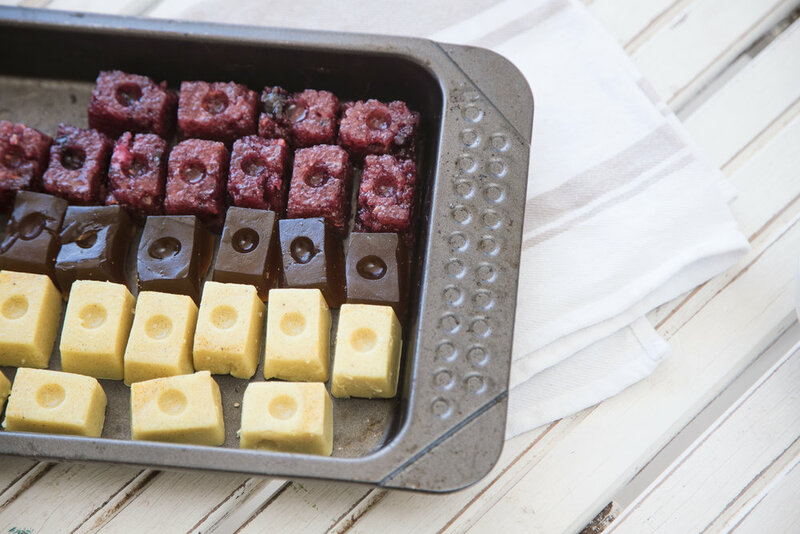 You can store in the fridge in an airtight container for up to 1 week or freeze the gummies. You can also use any kombucha flavour for these gummies.